Thinking, or perhaps obsessing, about the attempt at “regime change” in (not so socialist1) Venezuela, and yesterday being the 171st anniversary of the Treaty of Guadalupe-Hidalgo… a “regime change” of a rather permanent sort for at last half of Mexico, Vijay Prashad’s “Trump’s Venezuela playbook is disturbingly familiar: Here’s the 12-step American method for regime change” reminds us why the tactics used in destablizing and overthrowing Latin American (and other) governments really is so disturbingly familiar: they go back, not just to the 1970s, or post-World War II, but a good two centuries, at least as far as regime change goes in Mexico. We usually hear of 12 Steps as a means to recover one’s lives… though in a way, the 12 steps Prashad notes are recovery of a sort: the recovery of control over the economic resources of their target nation. The first step, “Colonial Traps” as Prashad calls it, is — like the First Step of recovery programs — is recognizing the problem, or for the imperialist interloper, the opportunity. The former colonies of Spanish America were all dependent on exports, usually a single export. Although it was the hey-day of naked colonialism, perhaps their unfortunate experience in their 13 colonies in North America had convinced the British that there was a cost effective alternative to ruling an American country when all they wanted was American resources. At any rate, in 1825, as Britain was signing “friendship and free trade” agreements… usually brought by a warship bristling with cannons in the new nations’ harbors… Prime Minister George Canning observed “Spanish America is free,and if we do not mismanage our affairs she is English … the New World established and if we do not throw it away,” or… put another way… we don’t need to send an army (yet), there’s people there we can work with. And they did. Henry George Ward, Britain’s first ambassador to Mexico, spent most of his time scouting out mining operations that had been neglected during the Independence Wars and were available cheap, as he was to other investment opportunities. His “Mexico in 1827” is largely a paean to the British owned mines then in production. The British did gain control of the mining industry in the early 19th century (and still, through their Canadian proxies, control about 80% of Mexican mining), despite some competition from France (their 1862 invasion was largely based on interest in obtaining mining concession in Sonora) and the United States. Although the first United States Ambassador, Joel Roberts Poinsett, was more interested in another commodity2 … land (specifically Texas) during his tenure (actively meddling in Mexican elections to sway the elites to support US goals), when oil became Mexico’s main export, it sought mightily to control the state and, though it, control oil production. Indeed, the Mexican Revolution only became a social revolution when the U.S. Ambassador, Henry Lane Wilson plotted to overthrow the democratically elected president and install a more “oil company friendly” dictator3. That it didn’t work out (although it cost Mexico another 7 years of civil war) only shows the need for going beyond the first step. Prashad’s “Second Step” — Defeating the New International Economic Order — preventing the victim nation from “pivot[ing] away from the colonial reliance upon one commodity and diversif[ying] their economies” has been largely successful in Mexico… although that diversification has only meant more foreign ownership of Mexican resources (specifically human resources). That is, Mexico’s diversified industries are foreign owned, although the foreign governments do all in their power to ensure Mexican wages stay low and profits can be repatriated. Historically, though, there are two earlier examples of Mexico attempting to get control over resources, and foreign pressure to prevent the change. Juarez’s government nationalized Church properties in 1859, giving France (as defender of the Papacy) another rationale for invasion. In the 1920s, as Mexico was trying to gain control, and collect revenue from the oil fields, the United States withheld diplomatic recognition until the Bucarelli Accords were signed, giving the United States “special rights” over oil production. When the Mexican government finally was able to gain control over its oil in 1938, there were demands for US and British military intervention, prevented only by the Second World War, although ever since, foreign governments and institutions, and Mexicans working in the interest of foreign actors, have done everything in their power to first weaken PEMEX and then to justify its privatization on the grounds that it is a weak company. Step three — killing agricultural sufficiency, and impoverishing rural communities — has been a relatively recent phenomena. Only in hindsight was it realized that favoring industrialization (especially the “maquadora”… foreign owned… factories) over rural development would lead to a Mexico which exports luxury crops (winter fruits and vegetables, marijuana, coffee, sugar) while importing basic foodstuffs like beans and corn. And allowing Mexican food distributors to be bought up by foreign capital. NAFTA is largely to blame for this, agriculture being an afterthought to the neo-liberal (and mostly U.S. Educated) negotiators. Step four — the culture of plunder — is self-explanatory. Ever since Hernán Cortes showed up “to spread the word of God, and make ourselves rich” stealing public goods has been encouraged. Poinsett only walked off with a few cuttings, while those who followed walked off with half the nation’s territory. Heck, the Illinois voluteers in 1848 walked off with one of General Santa Anna’s prothetic legs, and the thefts of artistic treasures and pre-Colombian artifacts has been incalculable. Is it any wonder that Mexicans themselves plunder? It is interesting to see that US media covers the attempts to stop small scale plunder (of gasoline) right now as if it were some quixotic quest by a slightly cracked President, and not just the first step (after recognizing the problem, that is) of plunder. Step five — debt. This is the biggie. Mexico’s economy was shattered at independence, and, as George Canning realized back in 1825, the surest way of controlling the country without having to go to the trouble and expense of actually running the place. Both the French attempt to invade in 1838, and their massive invasion of 1862, were debt collection operations. Britain … which had the largest 19th century debt, managed to squeeze out all sorts of concessions (mostly for railroad rights) and, in the 20th century, the prospects of repayment of Mexican debt to U.S. Banks played more than a small role in several recent elections. That the United States is already showing hostility towards the new leftist administration, one is tempted to think, has as much to do with the prospect of the state actually getting control of its own finances, as with anything else. Step six and seven— let public finances go to hell and cut social spending. Why, yes. The United States was ecstatic when Carlos Salinas “won” the presidency (with the assistance of the CIA?) and ushered in a more “neo-liberal” government, cutting social spending in favor of debt repayment and “tickle down” economics. Remember when Enrique Peña Nieto was going to “save Mexico”… the savings being mostly on the backs of the poor and needy. It’s an interesting side note that the Mexican reformers… those who wanted to give back to the people… have been painted as the villians in U.S. History: Pancho Villa, for example. 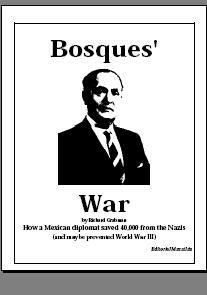 Lazaro Cardenas was, if you read the “mainstream media” of the time, a dangerous Commie. As, so far mostly on the far right blogosphere, is Andres Manuel López Obrador. Step eight — migration. At times of unrest, ´people migrate. Although there was a time when the people didn’t cross the border, but the border crossed them, those who found themselves in the other country were seen as interlopers, and a “problem” the more powerful United States needed to control… and another excuse to intervene. Lynching Mexicans and Mexican-Americans seemed to have been a popular sport in south Texas during the Revolution, and the exiled Cristeros were seen by the Coolidge Administration as not so much a problem for the United States, as they were useful as “victims” of the “evil” Mexican administration. 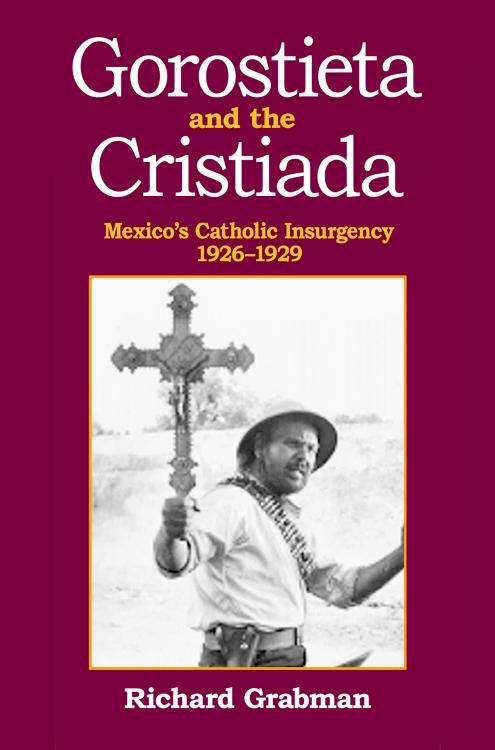 That the Cristeros and other counter-revolutionaries were being financed and armed by U.S. Interests was something best left unsaid. Mexican migration… fueled by economic issues (largely exacerbated by cuts in social spending and agricultural collapse) has been successfully “spun” to discredit Mexican governments. It’s an interesting variation on the theme that migrants passing though Mexico from the Central American states… whose woes are directly attributable to U.S. Policies and interventions… has become the rationale for anti-Mexican rhetoric, and actions, by the Trump administration. Part 2: Have we something to fear, or just fear itself? 2. Not the flor de nochebuena, which he patented and named Poinsettia, though that too would be an example of foreigners stealing a local commodity for their own benefit, and leaving the producer with next to nothing. 3. Similar to what happened in Honduras in 2009, where Secretary of State Hillary Clinton justified the coup as “constitutional” the 1913 coup was given a fig leaf of credibility by claiming it was a “constitutional” change in government. Madero was forced to resign, the next in line for President being Pedro Lascaran, who stayed in office the 45 minutes it took to swear in Huerta as the next in line for the presidency, and then resign office.